“It was extraordinary–and still surprises me to this day that the human spirit knows no boundaries”. 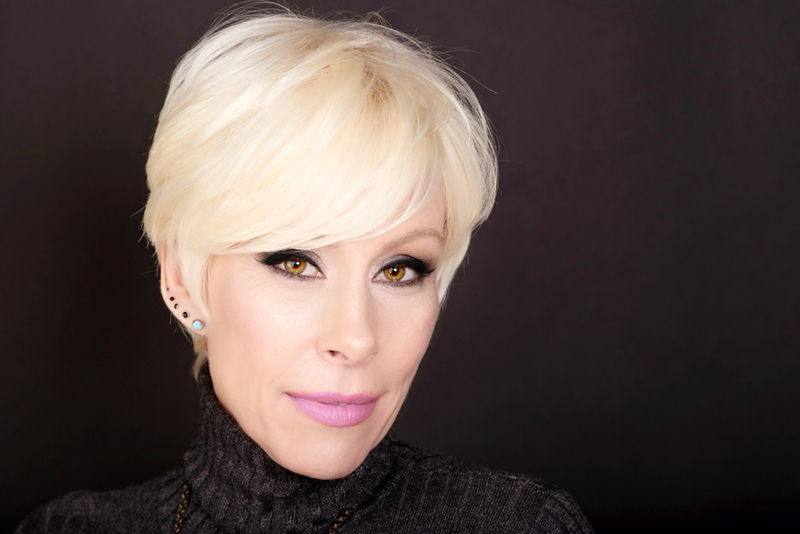 Sloan was born with Psychic-Mediumship abilities, as well as being a technically trained Astrologer, a modern day “Metaphysician” who also happens to be the mother of 2 boys. Strong authentic, gifted, intense and compassionate. 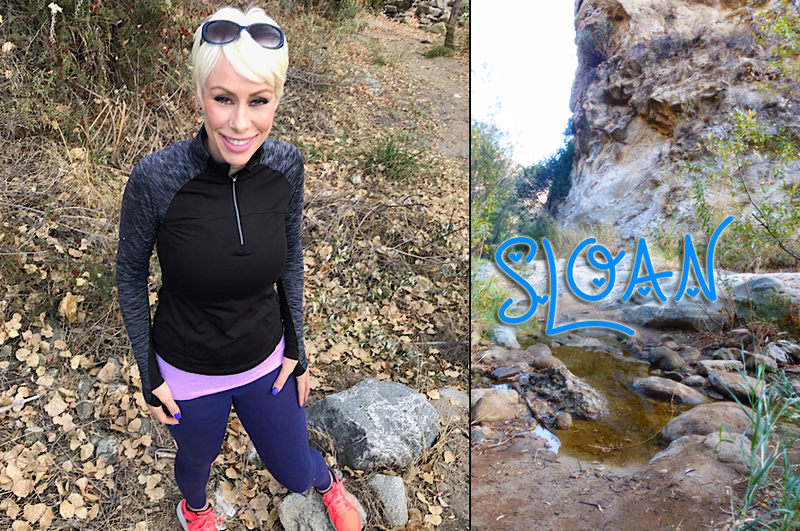 Sloan is a published author and TV Personality, who has been working with clients for the past 30 years. Sloan was adopted into a well-established and business-minded family which allowed her temporary stability while exploring the paranormal world that was exploding into her existence. By the age of 4 Sloan learned to articulate nightly visits by other worldly beings and the spirits of those people who had crossed over. This was how she began to develop her ability to act as a conduit and to speak the different frequencies that exist around us. Astrology was introduced to Sloan via a charm necklace from a cousin in England, by the age of seven, and her lifelong passion for astrology began. Sloan’s world expanded and became enmeshed with metaphysical information on all psychic levels. Naturally rebellious and un- apologetic for her experiences caused even more tension within an already extremely difficult childhood. At 14, Sloan ran away from home and ended up on the streets, the homeless teen found herself in the strip clubs. “Life experience and the way we continue to pattern our thoughts and beliefs force us to deal with the blocks and traumas that need to be released in order to find our potential on a soul level”. Sloan began her career on the streets of Toronto, Canada, working with missing and exploited children. By the age of seventeen, Sloan was established as a professional Psychic-Medium, while deeply entrenched in the street, music vibe, while reading for everyone from Gregory Hines to Don Adams along with a large clientele which included, street kid’s and run away teenagers, teachers, musicians, businessmen, actors, strippers, Congressmen, housewives, athletes and anyone who needed help. Sloan’s abilities at one point were even sought after by the head of a major crime family. Sloan was always connected to the other side and one of the most unusual connections was her Mediumship communication with the late Jimi Hendrix who guided her and aided her working on the streets of Toronto and Hollywood, as a “Street Psychic” with intuitive guidance” to runaway and sexually exploited children. 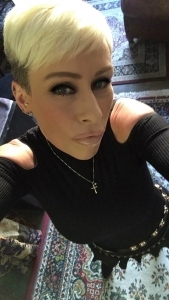 Sloan headed to California and was immediately hired in a one of a kind inventive shelter program, which used her abilities to communicate with underage sexually exploited children, gay teens and transgender . A street psychic.To this day Sloan is still reading people from even walk of life and for Rock en Roll Hall of Fame “Guitar God’s” who have relied on her medical intuitiveness along with intuitive guidance in every area of their life. A published Author and former Newspaper stringer writer on Metaphysics. Media: E-News – Omgossip.com, T.I & Tiny “ The Family Hustle” E! reality, Bravo-Million Dollar Listing, Fox News Studio 11, “Married to Rock” with, Josie Stevens, Etty Lau Farrell. Written about in several books and celebrity biographies the latest being “Marina Anderson’s ” The eye of my Tornado” her tell all book about her late ex husband David Carradine. “Entertainment Tonight”, her prediction 2 years earlier about Jon Benette Ramsey and the man in Asia who would be arrested for her murder. Interviewed on “Inside Edition” by Jim Morret about her experiences as the last psychic to the late “Anna Nicole Smith”, and how Sloan experienced Anna’s death prior too it happening and the subsequent haunting of her home by Anna Nicole Smith- who had been a client. A&E show “Ceaser 24/7, Court TV,where Sloan worked with the family of murdered Grandparents, telling remaining family that the murder would be caught by a 5 year old girl and stand trial for the murders… (filmed in 2006 happened 2008-09 in Santa Ana, Ca. a death penalty murder case). “Dead Famous” Talking to Rita Hayworth, Jimmy Kimmel Live, NBC, Megan Mullally’s talk show, where Sloan read for both Megan and Cameron Diaz, Los Angeles Sports Radio Station and “The Joe MacDonald Show, while also appearing on the “Montel Williams Show”, A&E- Looking for Missing Explorer Steve Fossett,( successfully predicting the altitude and time frame of the body being found) TV Guide’s”Hollywood 411″, predicting the deceptive announcement of Brad and Angelina’s twins birth, doing several episodes on Hollywood couples. Lifetimes- “Psychic Challenge”. E! Entertainment’s “My Perfect Life” Victoria Silvstedt. Sloan has been quoted in Celebrity Magazine “Life and Style”, also writing about communication with the late Kurt Cobain. TLC’s ” Bermuda Triangle” NBC’s Golden Globes Live- with Julie Moran predicting 2010 winner’s. 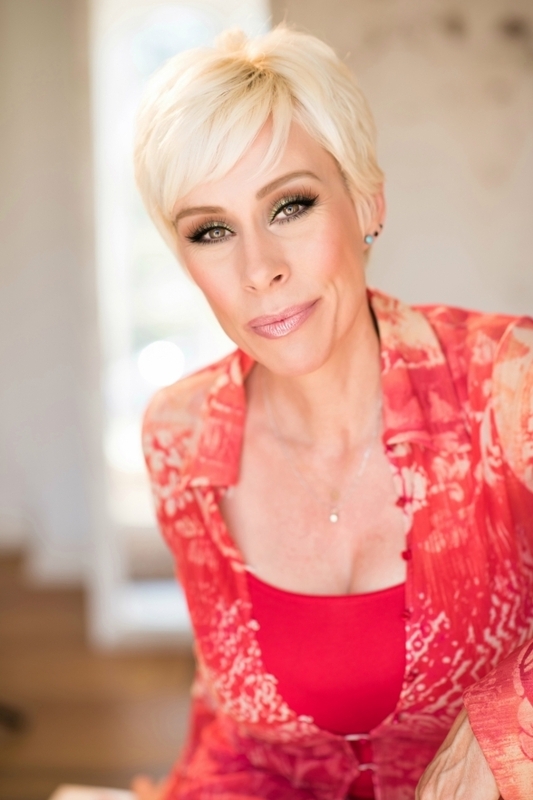 Sloan’s work with clients and their true testimonial’s were used for re-enactments on the very first several “Psychic Friends Network”, infomercials, from there her life fast forwarded and in 1995 as The NBC series, “The Other Side”, chronologically followed Sloan through her days and nights, watching her work with street kids. “The Love Psychic”, where Sloan worked with host, Comedienne Ray Combs. USA Network’s- “Psychic News”, VH1- Rockstrology where she successfully predicted the breakup of Ben Affleck and Jennifer Lopez, Fox Network Show ” Sensing Murder”, Bravo’s “House Busters”. Stay informed! Signup for our Daily Horoscope. Enter your name, birthday, and email to get free daily horoscopes sent right to your inbox!